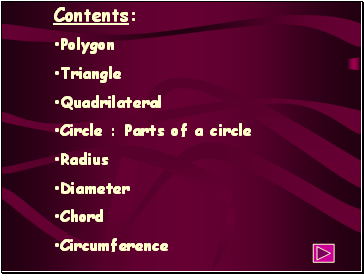 Develop understanding and appreciation of geometrical shapes and their characteristic. 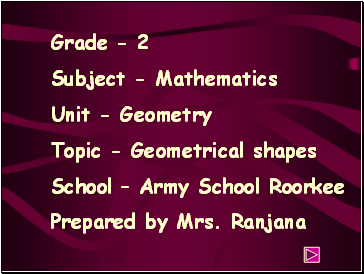 Develop power of thinking and reasoning. 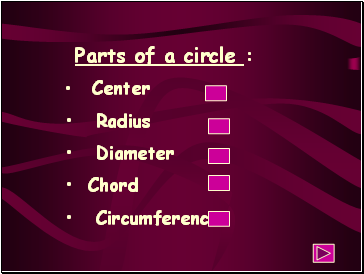 Students will be able to recognized different geometrical shapes. 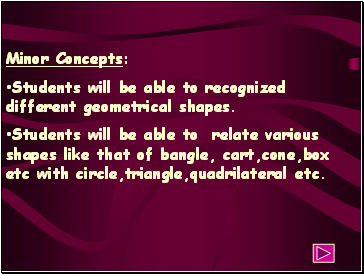 Students will be able to relate various shapes like that of bangle, cart,cone,box etc with circle,triangle,quadrilateral etc. 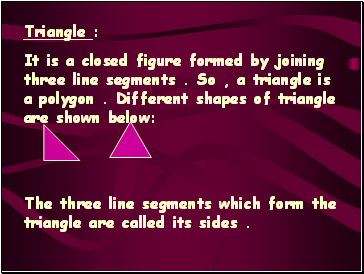 The three line segments which form the triangle are called its sides . 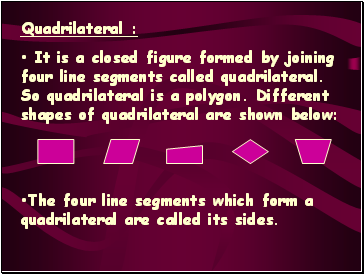 The four line segments which form a quadrilateral are called its sides. 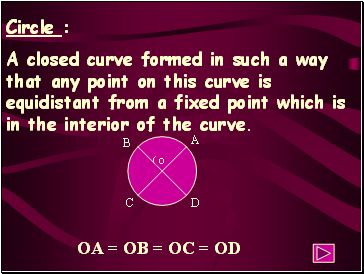 A closed curve formed in such a way that any point on this curve is equidistant from a fixed point which is in the interior of the curve. 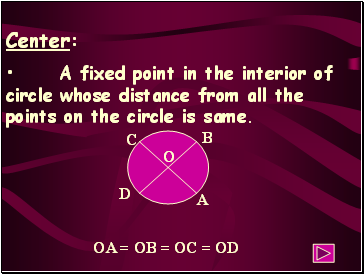 A fixed point in the interior of circle whose distance from all the points on the circle is same.